If you’ve felt that this space has ignored pan pipes, harmonica, accordion and twelve-string guitar for too long, then this is your lucky day. And if not, well, you might just change your mind when you listen to these selections. Blind Willie McTell grew up near Statesboro, Georgia, in the eastern part of the state, and developed a reputation for his uncanny ability with the guitar. After moving to Atlanta, he became a mainstay of that city’s vibrant local blues scene. “Statesboro Blues” is his most famous recording and brilliantly showcases the phenomenal guitar style that made him famous. He plays a twelve-string guitar on the record, which is similar to a standard six-string, except each of the strings is doubled. This amplifies the sound, but it also makes it more difficult to use as a lead instrument, which makes McTell’s playing all the more remarkable. He creates a rich, full sound while simultaneously using the intricate fingerpicking that was typical of Piedmont blues. It’s an amazing feat, and if you listen to it, it almost sounds as if he were playing two guitars at once. But as it goes along, it picks up speed and becomes less predictable. With about a minute to go, McTell abandons the conventional structure all together and the song becomes riveting. In a couple of places, he chants rhythmic lists: “Sister tell your brother / brother tell your aunt / now auntie tell your uncle…” By the time he finally mentions Statesboro, the song is absolutely rollicking. (Try to remember when you get to that point that there is only one guitar playing!) Unfortunately, from that point the song draws rapidly to a close, leaving you wanting to hear more about those Statesboro blues. Henry “Ragtime Texas” Thomas was not strictly a blues musician, but rather a general “songster” versed in a wide variety of musical styles. 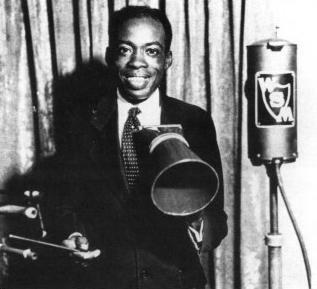 He had enjoyed a long career before finally making his first recordings in 1927, and had developed a unique style all his own. 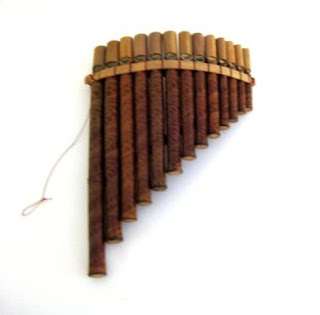 In his songs, he alternated singing with playing the pan pipes, all the while playing rhythm on his guitar, which he strummed like a banjo. DeFord Bailey was a true rarity: an African American harmonica player who made his name as a star of The Grand Ole Opry, the leading country music radio program of the day. 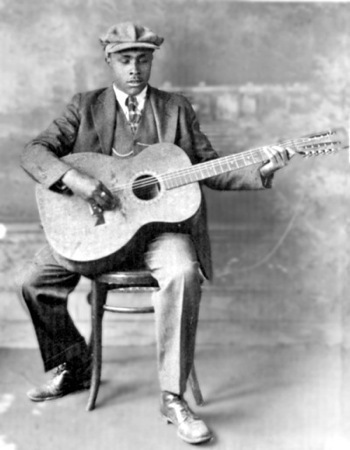 In truth, the music he played was neither strictly country nor strictly blues, but a novel combination of both that Bailey called “black hillbilly.” As “Davidson County Blues” demonstrates, Bailey was a skilled player of the harmonica, which was at that time a very novel instrument. He does some amazing tricks with the instrument, like the many times he trills rapidly through several notes. Most impressive, however, is when he manages to sustain one solid note while simultaneously pulsing another in the background. During the French and Indian War (1754-1763), the British deported thousands of French from the area then known as “Acadia” (which corresponds roughly to Canadia’s present-day Maritime provinces: New Brunswick, Nova Scotia and Prince Edward Island). Many of those exiled settled in southern Louisiana (which soon passed from France to Spain and then to the U.S. in 1803). There, the “Acadian” culture eventually became known as “Cajun.” Cajun society was heavily influenced by various neighboring Native American, African-American and European immigrant groups, and evolved over time into a very distinct, and ultimately very American culture. A big part of that culture was Cajun music, which had started with simple French ballads and evolved into social dance music. Along the way, the accordion became the central instrument. 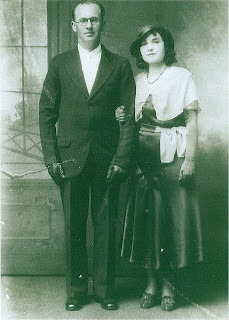 Joseph Falcon was one of the most noted accordionists of his day, and his “Allons à Lafayette” (“Let’s Go to Lafayette”) was the first commercial Cajun recording ever made. Falcon’s lively, full-steam-ahead accordion playing provides a nice contrast to his very controlled vocal style. It is that accordion playing that obviously sets this apart from the other American popular music of the day. However, listen to just the accompanying guitar part (played by Falcon’s wife Cleóma) and you will have trouble distinguishing the song from old-time country, blues or folk music. And it is not hard to imagine how Cajun would over time influence and be influenced by those other styles.